According to Fandango, Thor: Ragnarok is currently beating Spider-Man: Homecoming in terms of ticket sales. Plus, it’s already beating most of Marvel’s phase three films in the international box-office. International cinemas are already enjoying Marvel’s comedic and adventure filled Thor: Ragnarok since October 24. Thus, numbers are coming in that the film has achieved a $109.1M in the international box office. At the same time frame and rate with the rest of the past Marvel films, it has now a 6% ahead of Guardians of the Galaxy Vol. 2 and 24% above Doctor Strange. The film accumulated the most box-office in the UK, a total estimate of $16.2M, which is the first country to watch the movie. Other countries who helped in the box office are Korea ($15.7M), Australia ($8.4M), Brazil ($8.1M) and France ($7.7M). US cinemas are yet to watch the film but ticket sales are predicting a huge domestic box-office. According to Fandango, the leading entertainment ticket seller on the internet, Thor: Ragnarok is currently beating Spider-Man: Homecoming in terms of ticket sales prior the premiere date. Not only is Ragnarok beating the movie about the teenage web slinger, it is also outpacing the two previous films in the Thor series. Fandango is predicting a $100 million to $118 million box-office debut that could beat Homecoming’s $117 million debut. 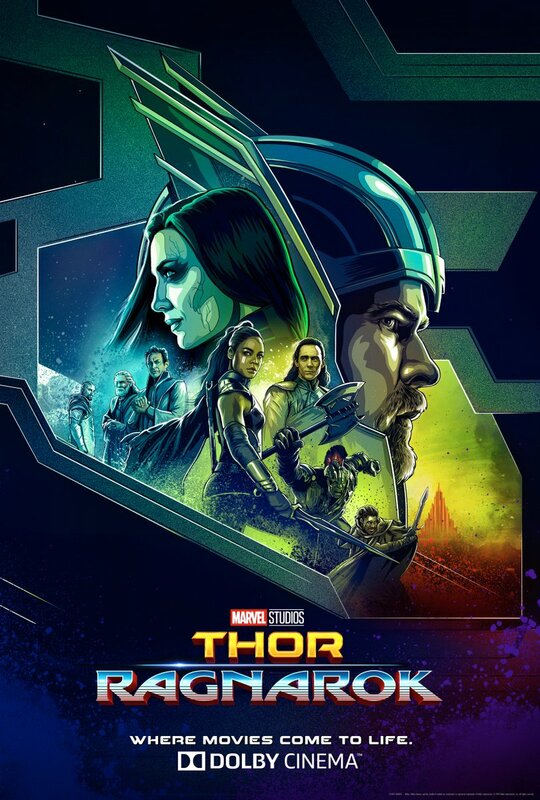 Here’s a new Thor: Ragnarok poster to excite those who haven’t watched the film yet. The movie hits US theaters this weekend on November 3.